Our mission is to reduce violence, and promote emotional growth, physical activity, economic opportunity, and roots culture. 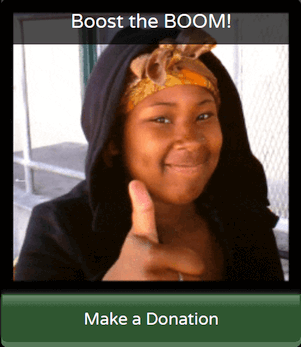 The Bayview BOOM is a ground-breaking school-of-the-streets, on a mission to transform at-risk teens into homegrown engineers, entrepreneurs, and tradespeople. 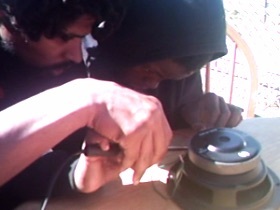 We teach our apprentices how to build a bumpin' boombox, using recycled and repurposed materials. During our three-year pilot program, about 40 teenagers enthusiastically assembled circuit-boards and boomboxes! More than half of our participants were girls. The BOOM is connecting the dots, and raising the bar. We've been featured in Electronics Engineering Journal, MakeZine, and Burning Man Journal. We won the 2014 EELive! Gadget Smackdown, and Not Impossible San Francisco 2019 Second Place. We received grants from Hitachi Electronics and the Black Rock Arts Foundation, and a donation of $1/4 million worth of donated batteries. Now we're takin' it back to the lab. We've pressed Pause on youth-workshops, while our all-volunteer team of professionals re-engineer the boombox for superior performance. We've also laid the blueprints for a powerful youth-development curriculum. Not intended for commercial distribution or profit. Music property of Queen Latifah or representatives. THE PEOPLE in Bayview Hunters Point have been struggling for decades, affected by the US Navy's radioactive waste dump, crack-cocaine, gun violence, substandard housing, and liquor stores. They are struggling with unemployment, homelessness, lack of access to health care, tainted soil, violence, mental illness, drug-addiction, severe health problems, and lack of appreciation. BUT THERE IS INCREDIBLE POTENTIAL HERE. These soulful folk represent a deep history, including work in the trades. One unemployed young man from Double Rock, who has since died, described his father as a busy electrical contractor during the 1980's. Those days are gone-- most local employers hire mostly non-residents. The young people are a precious creative resource, yet many lack the resources to be creative.The BOOM believes a revival of the trades may be the right prescription.The Bayview BOOM empowers teenagers with the skills to build their own futures. Our method is to develop a high-quality, bumpin' music product, designed to consumer standards, that can be built by-hand, at low cost, by our youth-apprentices. 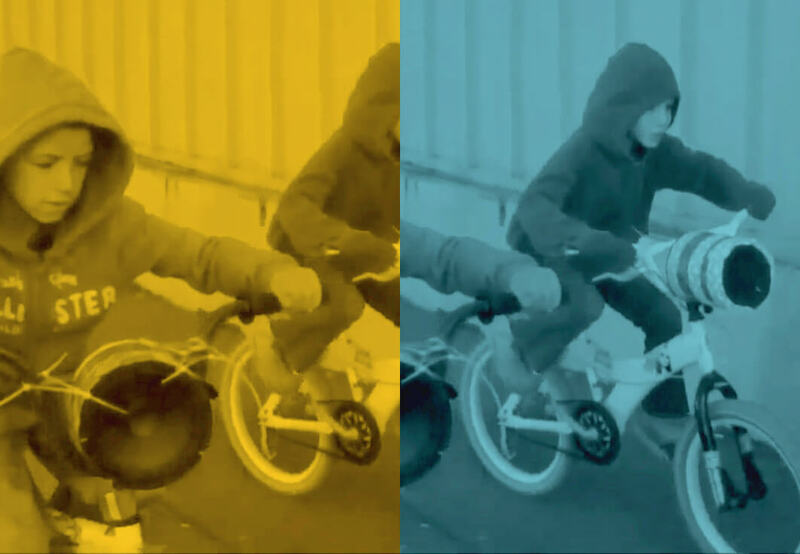 Then, we'll implement a street-savvy marketing strategy to get this product into the eager hands of B-Boys and B-Girls everywhere (that’s Bicycle Boys and Bicycle Girls). Our boombox-electronics projects are highly appealing to hard-to-reach youths. Building an exciting and complex project engenders pride, and sense of accomplishment. "I can feel the energy flowing through my body." -Jonathan M, on probation, 15 yrs old, after a successful system test. Mechanical and electronic assembly and repair involve constant problem-solving, troubleshooting, and improvising. This gives our participants the confidence and mental-skills to solve other real-life problems. Assembly projects provide unemployed or truant youths with a constructive, healthy alternative to unproductive activities. Building cool stuff is addictive; a healthy addiction.